Hang multiple accessories for easy and silent access on this lightweight belt. Features four adjustable hooks perfect for hunting, camping and various outdoor activities. 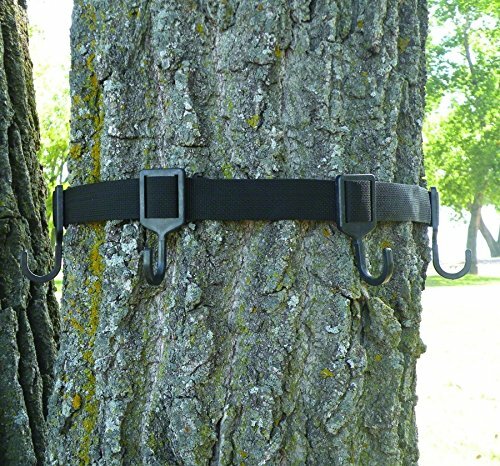 Fits any tree up to 22" diameter and has a quick release buckle for easy removal. Holds up to 50 lbs. If you have any questions about this product by Big Game Treestands, contact us by completing and submitting the form below. If you are looking for a specif part number, please include it with your message.